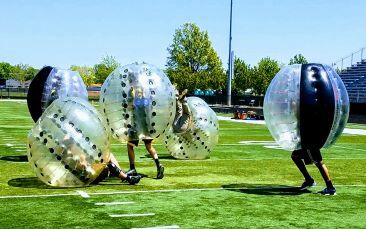 We are the Chicago Bubble Soccer specialists for Epic Knockerball parties. 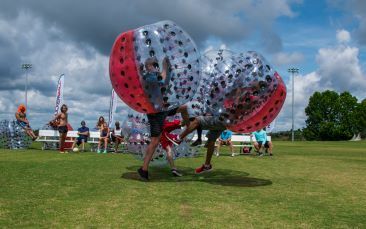 Knockerball (Bubble Ball) is the perfect addition to any celebration: Birthday Party Rentals, Team Building, Company/Family Picnics, Graduation Parties, Church Youth Groups, Bachelor Parties and Fundraising Options too! If your looking for a fun group outing you just found it. Learn more about Knockerball Chicago and scheduling your Bubble Soccer Party. Reserve your Knockerball Party here or give us a call. We don't want you to miss out on this action! Read over our frequently asked questions and please email or call us if there's anything else we can help with. Get ready to DEFY gravity, have some laughs and get a great workout! 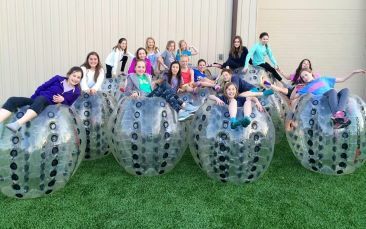 Knockerball Bubble Soccer is THE Perfect addition to any celebration or just get a group of friends together for some fun. We have 4 sizes of Knockerballs (bubble balls) to ensure safety for all ages (pee wee, child & teens/adult). If it's not a Knockerball then you're missing out! Don't settle for those big box store brands, they can't handle this non stop action! "GET IN THE BALL" and see what you've been missing! We are mobile! Our Knockerball Event Staff bring the party to you. We can plan for an outdoor party at your home or a local park. In winter months we can host your party in one of our nearby indoror venue partners. Contact one of our event specialist and we can help plan the perfect party. We serve all of Chicago and Suburban Chicago. (Cook County, Lake County, DuPage County, Will County, Kane County), A little further, just let us know, we love a good road trip! As the official bubble soccer industry leader, safety is our #1 priority. 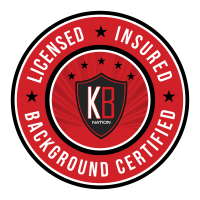 Knockerball Chicago is fully licensed and insured.